Psychologists talk about what they call the Communication Chain. The Communication Chain says that when a person puts out a verbal message, they expect a response to that message. That first message is a link in the communication chain. If there’s no response to the link, the chain is left unlinked or broken. 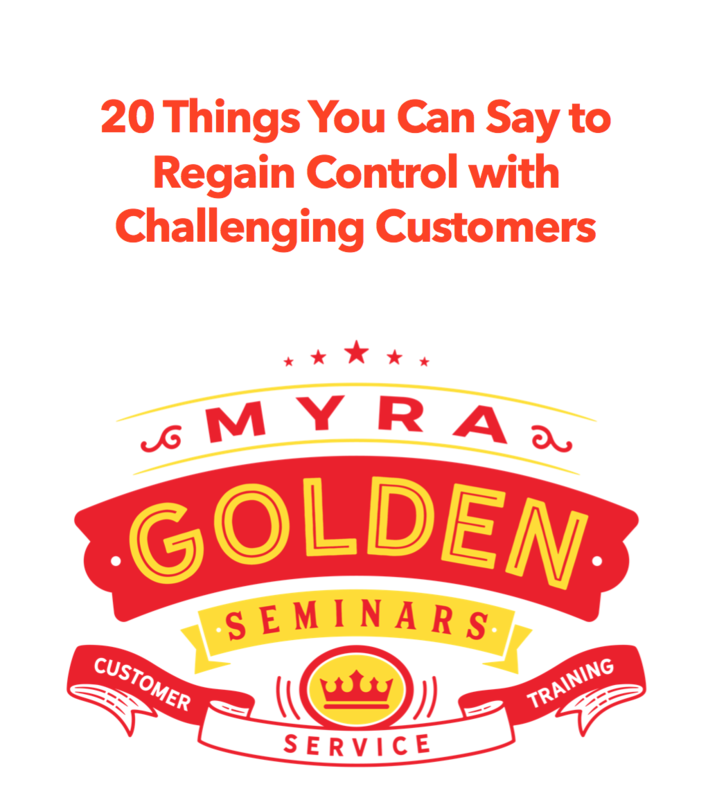 If you have a customer who expresses anger and you don’t acknowledge it, you break that chain and force them into the emotional right-brain where they might feel frustration or more intense passion for the wrong they feel they’ve suffered. What you need, is your customer operating on the left side of their brain, or their logical side. You don’t want a customer who you’ve just given lousy news to, to be controlled by their emotions. By acknowledging a customer’s concern, you’re moving that customer to the left, or more logical side, of their brain and simultaneously keeping the conversation moving forward by closing that link in the Communication Chain. Recognizing your customer’s emotion helps you create calm and defuse anger in an intense interaction. Here are three more tips for de-escalating. Get my full de-escalation training in an online video and position your team to pre-empt escalations, create calm, and maintain control of conversations with challenging customers. My de-escalation training can be purchased ala carte for $199, or as part of my customer service training online library.